Belgian malinois x Dutch hurder puppy. 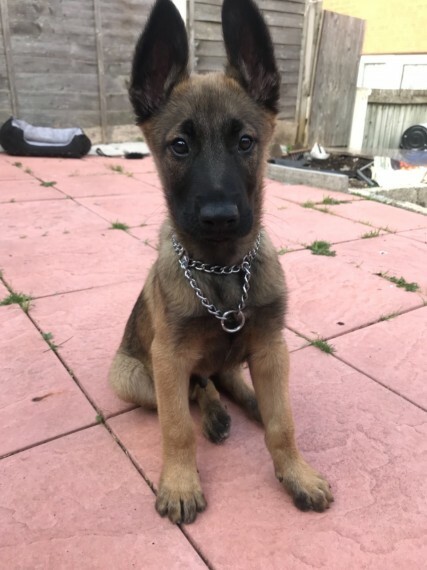 Only 12 weeks old excellent pup with very very high drives will need to go to an active or working home as both parents are working dogs pp trained. This dog will be perfect for working when he..s older please only genuine people with experience in this breed. Contact me for information comes from good bloodlines.